Refresh and lightly hydrate hair with Herbal Essences Blue Ginger Conditioner. Our real botanicals are endorsed by Royal Botanic Gardens, Kew, a leading expert on plants. 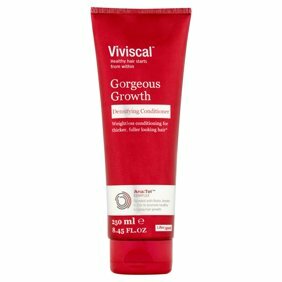 This conditioner, with real botanicals, helps provide naturally radiant hair from root to tip. <br /> <br />Crafted with our signature blend of real botanicals, Blue Ginger Conditioner helps to lightly moisturize for naturally radiant, beautiful hair. Color-safe and pH-balanced, this lightweight conditioner gently moisturizes while infusing notes of ginger, floral bouquets and clean musk into your hair - leaving it soft and bouncy. <br /> <br />Work into hair, rinse and repeat with ease knowing your conditioner is free of parabens and colorants, and made with at least 90% natural-origin ingredients. * <br /> <br />*Purified water and natural-source ingredient materials with limited processing. Refresh and lightly hydrate hair with Herbal Essences Blue Ginger Conditioner. Our real botanicals are endorsed by Royal Botanic Gardens, Kew, a leading expert on plants. This conditioner, with real botanicals, helps provide naturally radiant hair from root to tip. Crafted with our signature blend of real botanicals, Blue Ginger Conditioner helps to lightly moisturize for naturally radiant, beautiful hair. Color-safe and pH-balanced, this lightweight conditioner gently moisturizes while infusing notes of ginger, floral bouquets and clean musk into your hair - leaving it soft and bouncy. Ingredients: Water, Cetyl Alcohol, Stearamidopropyl Dimethylamine, Alpinia Galanga Rhizome Extract, Betula Alba Bark Extract, Histidine, Aloe Barbadensis Leaf Juice, Ecklonia Radiata Extract, Fragrance, Stearyl Alcohol, Quaternium-18, Bis-Aminopropyl Dimethicone, Benzyl Alcohol, Hydroxypropyl Guar, Cetearyl Alcohol, Glyceryl Stearate, Citric Acid, Polysorbate 60, EDTA, Oleyl Alcohol, Niacinamide, Methylchloroisothiazolinone, Methylisothiazolinone. Instructions: Apply conditioner generously to wet hair from root to tip and rinse. LOVE LOVE LOVE Blue Ginger and Micellar Water!!! I have been a fan of the Herbal Essences Naked Shine products for years. When it was discontinued I tried to find something to replace it. When I saw the Bio Renew Blue Ginger and Micellar Water on the shelf I decided to try it. The first time I used it I fell in love with it. My hair is very oily, and it has never felt so clean, so soft and tangle free in my entire life. It's FABULOUS!! !